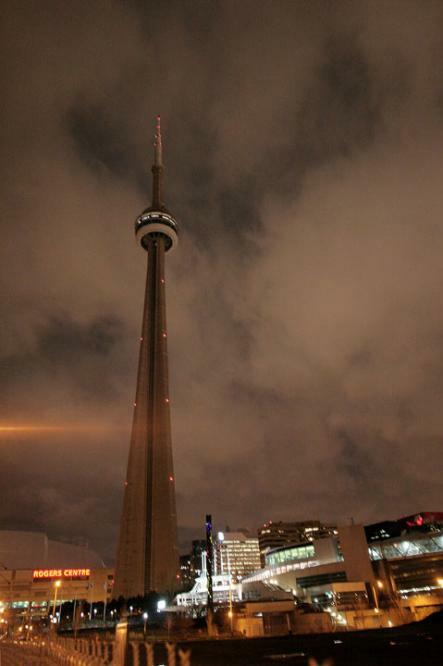 CN Tower is Toronto´s most famous landmark. This is the tallest freestanding building in the world (height=553.33m (1,815 ft., 5 inches). The CN Tower was built in 1976 by Canadian National (CN). Glass Floor and Outdoor Observation Deck are located at a height of 342 m (1,122 ft). 360 dining restaurant is located at 351 m (1,150 ft) and and offers visitors a complete 360 degree view of the city. 360 Restaurant rotates once every 72 minutes making possible a complete view of the city. Another famous feature of this restaurant is its wine cellar of nearly 500 choice labels. The CN Tower is situated on Front Street, close to the Entertainment District on the north shore of Lake Ontario. In 2006 the world’s tallest freestanding structure celebrates its 30th birthday.